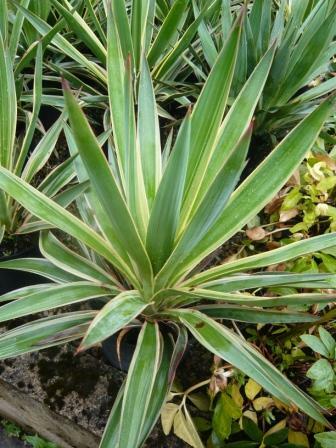 Spiky perennial plants sold as Phormium are available in variegated or self colours but all have striking sword shaped leaves. 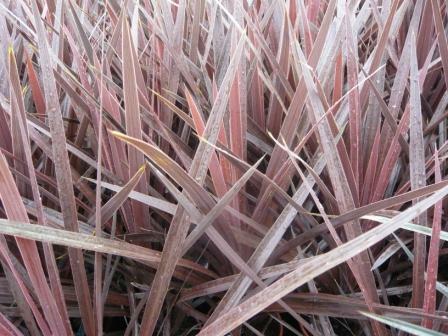 Phormium Tenax is the larger more commonly available variety but there are now approaching 100 varieties to choose from. Phormiums are best growing in a sunny position although they will tolerate a fair amount of shade and like a stream side position. Phormium have tough leaves that are resistant to desiccation so in the garden they rarely need any extra watering. P. cookianum varieties are less hardy but with some bracken leaves for winter protection they should be OK. Try Black Adder or Maori Maiden. I live in zone 7B/8a and have a phormium that I would like to protect in the garden. You recommend “bracken leaves” for protection. What is that and how to you use if for protection? Bracken is an English name for Ferns that grow wild on our hillsides and moors. Depending on the size of plant pile it over or wrap it with the protection.